There’s something for every Porsche enthusiast at Shannons Sydney Summer Auction on February 6, with four sought-after models spanning 43 years going under the hammer. 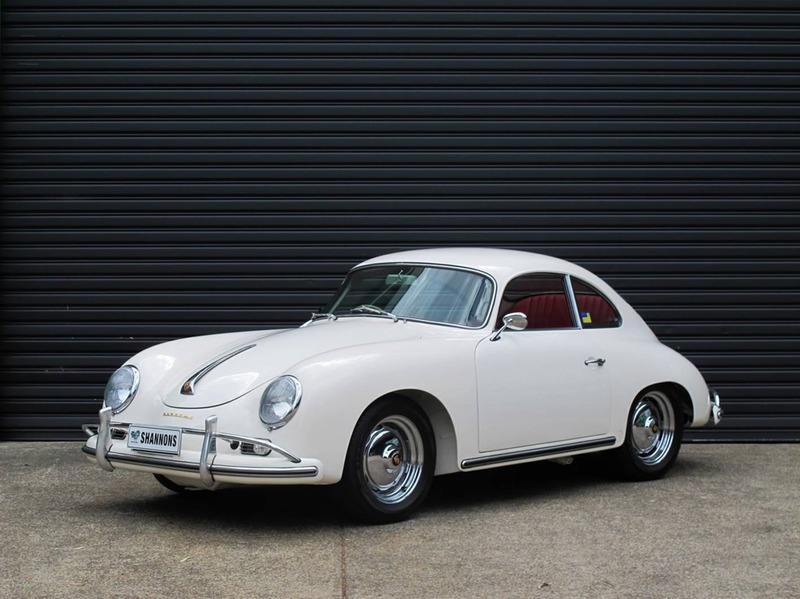 The most international interest of the quartet will centre on the beautiful 1958 Porsche 356A coupe that has been the subject of a meticulous show-quality restoration, from its white paint to red leather interior. Believed to have been Australian-delivered, this most design-pure of all the early Porsche 356 coupes has had one Sydney owner for almost 15 years, with much of the high quality work carried out by Pacific Reproductions in North Narrabeen during this period. As part of its restoration the car’s original 1.6-litre engine was replaced by a similar-sized air cooled ‘flat four’ from a later Porsche 912. The 356 has been independently valued by a noted industry authority at $162,500-$167,500 with Shannons expecting it to attract international interest in the $140,000-$160,000 range on February 6. 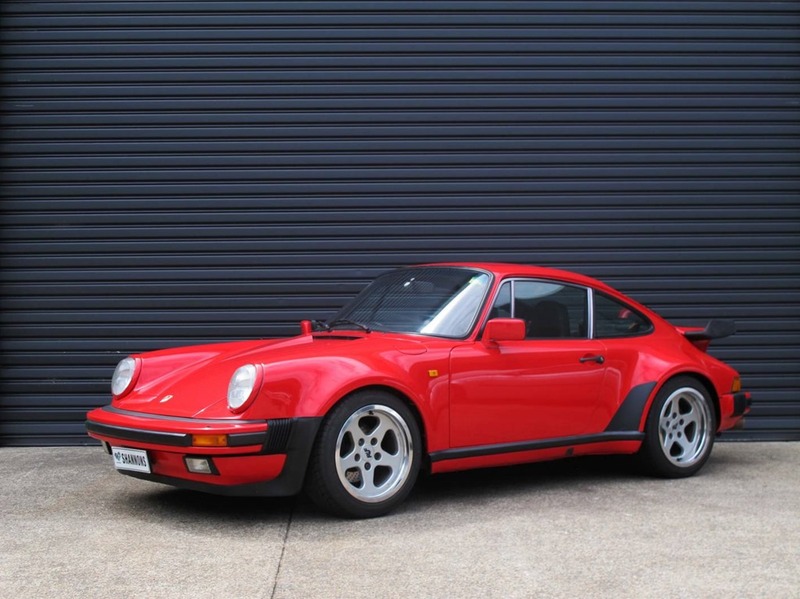 Also, very desirable for Porsche 911 Turbo enthusiasts is a 1979 US-delivered 930 Turbo in stunning condition, with unblemished Guards Red paintwork and a full black leather interior. The 3.3-litre car was converted from left- to right-hand-drive by Porsche Cars Australia’s own official repair centre around 1984-’85 and presents in show-ready condition, sitting on period-correct 16x7in and 16×9 RUF alloy wheels. Because of the rising collectible value of air-cooled 930 models, combined with its superb condition, Shannons expect the 930 Turbo to sell in the $110,000-$130,000 range. The Summer Classic Auction will boast another Guards Red 911 Turbo; a 2001 996 model that combines the traditional brutal performance turbo Porsches are known for with modern comforts of the water-cooled era. 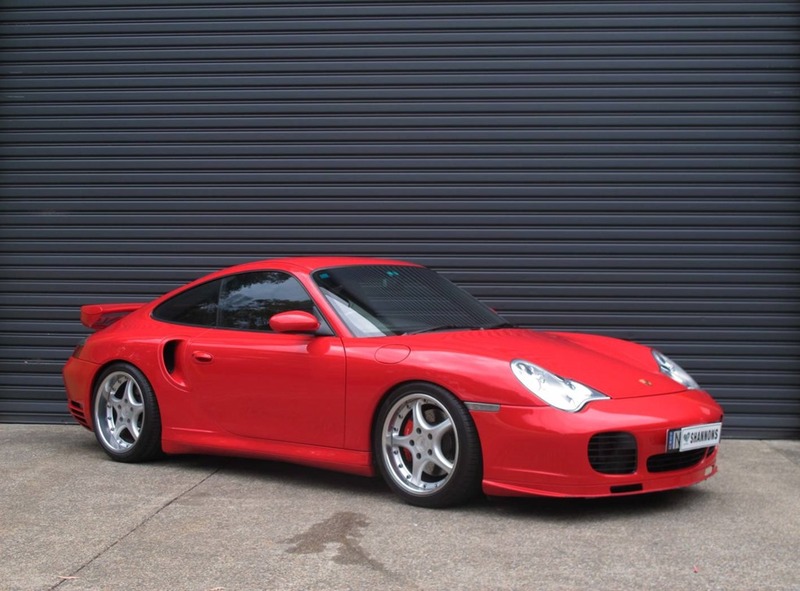 Delivered new to Australia in 2001 the bright red 996 features black soft-look leather, factory sunroof and the famous 309kW twin-turbo 3.6-litre that can propel the all-wheel-drive coupe to over 300km/h. Equipped with the desirable 6-speed manual transmission option, the 996 Turbo has covered just 49,000km since new and comes with a healthy service file detailing services by Porsche Centre Gold Coast before the current owner continued its service at Porsche specialists BWA in Seven Hills, Sydney. The Porsche presents in good condition and is factory standard except for a set of aftermarket three-piece wheels from renowned German tuning house Gemballa. Due to increasing desirability of early water-cooled performance variants of the 911, plus this car’s sought-after colour combination, local delivery and low kilometres, it is expected to attract bids in the $115,000-$130,000 range. 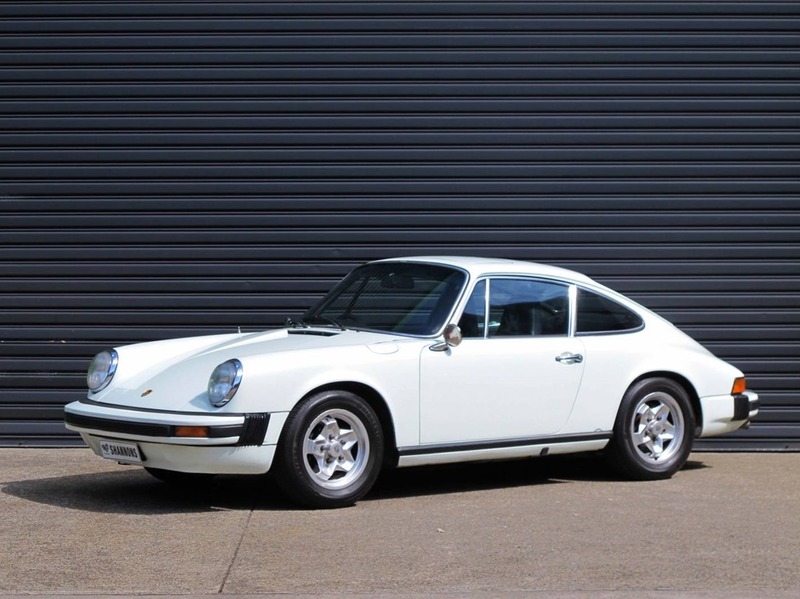 Finally, for enthusiasts wanting a useable day-to-day classic 911 there is a white with black leather interior 1974 Porsche 911 coupe presented in virtually unmolested, almost show condition. The UK-delivered, matching numbers early ‘G-Series’ 911 with its factory-fitted electric sunroof was imported to Australia in the late 1970s, with its current owner purchasing it in the early 1980s. He then sold it in the mid-1990s to a close friend, who then sold it back to him around 2003. The large receipt file supplied with the car includes receipts from the last two owners including full details of its interior and paintwork restoration, mechanical maintenance and a top-end rebuild of its Bosch K-Jetronic fuel-injected 2.7-litre air-cooled six-cylinder engine. 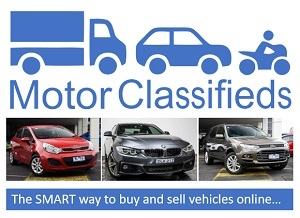 The Porsche also comes with a letter from Porsche Cars Australia confirming that its engine and chassis numbers match their records for that car. As the first production Porsche model to incorporate galvanised body panels to resist corrosion early G-Series 911 models are increasingly sought-after by enthusiasts wanting a classic 911 Porsche that they can enjoy on a regular basis. Because of its very high standard of presentation and mechanical integrity, the car is expected to sell in the $64,000-$68,000 range on February 6.